We use them every day throughout the day. Many of them perform without complaint. They must endure all kinds of duress, like dropping, spilling, burning — even climbing. Countertops are like floors. We take them for granted, and then we have the nerve to become disenchanted when the wear finally catches up. These unsung heroes of our daily lives deserve our thanks. Whether we’re homeowners ready to bid our current countertops farewell or trade professionals helping our clients replace them, the least we can do is be smart about our next choice. Just think about all the countertops you or your clients have in the house. Sure, everyone thinks of the kitchen. But what about the bathroom, living and dining rooms, home office, garage, or laundry room? Where there are cabinets, islands, or built-in desks, there are likely countertop surfaces. You may not be remodeling a small bathroom or adding a new flooring choice for the living room, but you probably have countertops in these rooms that need replacing. Because the kitchen countertops are multipurpose and the most common, take about five minutes to survey the ones you’re about to replace. Go ahead and head over there. We’ll wait. Now take a look around and ask yourself or your clients how the countertops are used: Do you cook or bake a lot? Do you brew your own beer? Are work or school projects spread across them? Do you host parties, play dates, or a book club? How often do you end up folding laundry on your island? Does your infant’s bouncy seat wind up on the countertop while you cook? And that’s just for the kitchen countertops. Countertops are the silent partners for every household activity, including all the mishaps. We’ve all gotten soap and toothpaste near the faucet of our small bathroom or spilled something on a surface in the garage. Something’s bound to happen, and it’s likely those countertops need to be replaced. 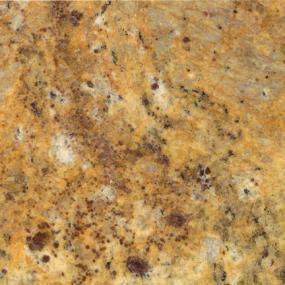 What About the Most Popular Countertop Materials? 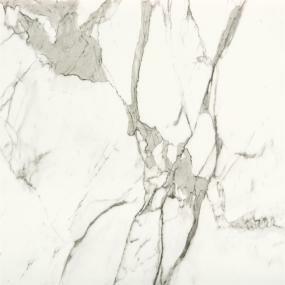 You often see marble, granite, and quartz used for countertops. Their timeless beauty is what attracts homeowners. Beyond their coveted visual appeal, each has distinctive qualities. Certainly, the above three don’t constitute a complete list. Other countertop options include cultured marble, Corian (acrylic), and laminate (yes, it’s not just for floors). So if solid surface countertops aren’t in your price range, these can be budget-friendly alternatives, and each has a great range of designs. As you can imagine, color and pattern become just as important to the decision-making process as the material of the countertops. Ask yourself or your clients what kind of statement you want to make. If you prefer that a countertop subtly complement the room, choose a neutral color, such as white or beige, in a simple pattern that matches the cabinets. If there isn't timeless flooring in each room, you might consider a pattern that matches the carpet or hardwood floor. Want to be bolder? If so, a contrast may be in order. Cabinets with a light tone could call for a darker countertop (think black, gray, or dark brown). Meanwhile, darker cabinets would pair nicely with a countertop of a lighter color, meaning you can spring for that off-white or light green quartz countertop. If you’re slightly more daring, you may prefer to have the countertop make a statement unto itself. You can add some pop with distinctive colors, such as red or blue, or a unique pattern. Meet with your ProSource Wholesale showroom team to find out how beautiful and dependable your countertops can be. Our experience with all types of countertops has proven that Silestone is one of the best product lines. You can see for yourself why it works so well in every home. 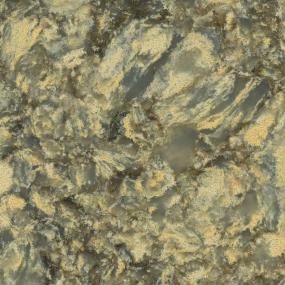 One of the advantages of Silestone is the wide range of colors and textures offered. You can pick a classic neutral or lush earth tone. Create a more dynamic setting with dark hues like “black anubis," or go bold with a vibrant yellow, green, or even magenta. Come see a few solid surface countertop samples for yourself, and you’ll understand why these countertops are so popular. Because homeowners depend on them every day, you should put as much thought into replacing your countertops as you would for remodeling a tiny bathroom or searching for some timeless flooring solution. After doing your research, maybe you’ll find that laminate countertops are best for the kitchen, or perhaps a solid source countertop solution is better for the home office. Whatever you decide, ProSource Wholesale has what you’re looking for, whether through our online catalog or in your local showroom.